If you've ever thought about adding a few little stylish touches to a room or, heaven forbid, decide to overhaul the design completely, you know how expensive those little details can be. Rugs can cost you nearly a thousand dollars! Napkins ten bucks apiece! It's just crazy how much can be saved by going the route of DIY! And if you think handmade always equals handmade ugly, I've got a couple of projects that just might change your mind! Some amazing photographs become amazing wall decor with a little bit of Aleene's Tacky Spray. It's no doubt that the choice images make the project super successful so keep your eye out for some pics you adore that have high impact! 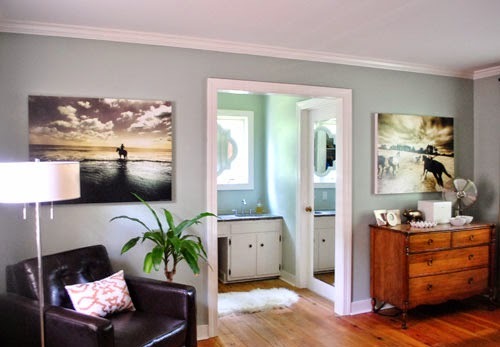 See how to make your own canvas mounted posters at Young House Love. Even if your home is mostly white on white, a pop of color will definitely do your surroundings good. 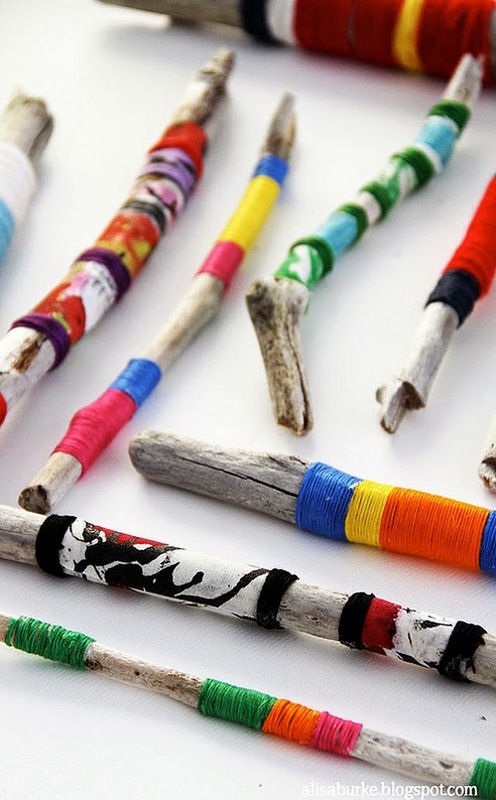 Why not go the route altering some driftwood into colorful and unique accent pieces? Mounted on the wall, this could be some amazing and artistic decor befitting an art gallery wall! Bust out the original Tacky Glue and see how to make your own Altered Driftwood with Alisa Burke! So many people, like myself, tend to forget about the impact a modern and clean place setting can have on the ambiance of their home. Spending hundreds of dollars on the perfect tablescape is unreasonable for most and completely unnecessary. 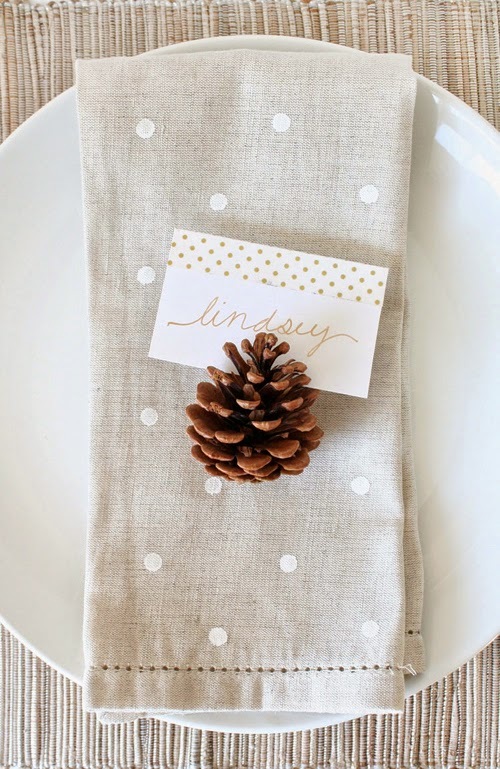 Head on over to Freutcake to see how to rock this simple and modern look and make your own DIY Polka Dot Napkins with just a bit of Tulip Fabric Paint! One of my very favorite types of DIY projects are ones inspired by something seen in a magazine or a store that is either outrageously overpriced, isjust a bit too rich for the maker's budget or is an unnecessary purchase when something similar is already at home. Follow along with Jennifer Perkins as she makes a Home Goods inspired upcycled ottoman with a big ol' jug of Original Tacky Glue! Though I honestly don't know how long it's been since I've seen a working Polaroid camera that spits out pics ready for the shaking, the shape of them is definitely iconic and big in modern design right now. 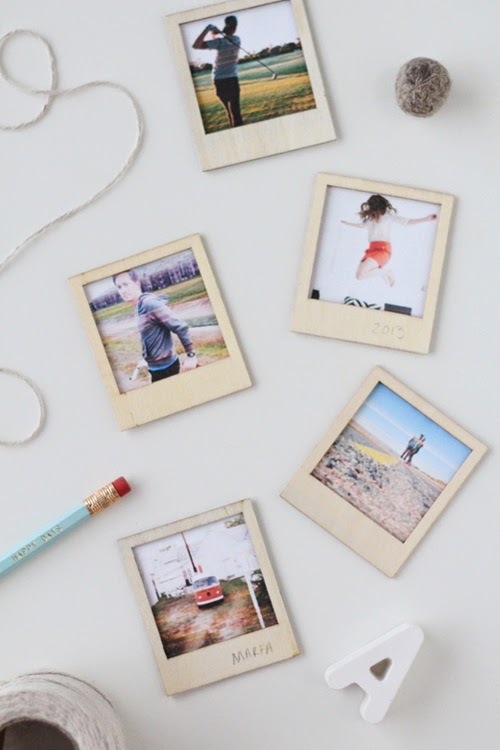 Sugar and Cloth takes that iconic shape and some Original Tacky Glue to make some very personalized and special Polaroid inspired refrigerator magnets. I bet you anything when you first saw these lovelies you just KNEW they had to be store bought, right? Well, guess again because these AMAZING Furoshiki (Japanese wrapping cloths) from The Felted Fox are 100% DIY with a little bit of fabric and a little bit of Scribbles 3D fabric paint! And while these aren't technically home decor, I don't see why they couldn't be killer napkins or absolutely ah-mazing throw pillows. Um, what's cooler than a giant arrow marquee hanging on your wall? I honestly don't know and if I had stairs I'd be all over this amazing project with Hands Occupied. 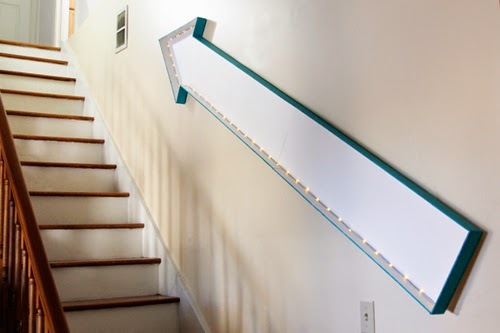 All you need is one ginormous piece of foam core board and some Original Tacky Glue and you, too can show people the way in your home! With spring upon us now is the perfect time to get those plain old terra cotta pots whipped into shape with your Tacky Glue Pens and a whole lot of swirling. Whether you leave the pot its natural color or bust out the paint, these DIY gardening cuties from Melmaria Designs are sure to add a little pop to your window sills and porches! I think that interesting little artistic pieces can really make a home. A stack of these Embellished Harajuku Cards from Jennifer Perkins can totally set off your coffee table, nevermind give guests something interesting to look at. Whether left loose for the sifting or hanging in frames for impact on a gallery wall, these cards are inexpensive and winning little pieces. Bust out the Tulip Fabric Paint and learn how to make your own. As I have recently learned, throw pillows can be ridiculously expensive. Sometimes they just sell you the cover and then you also have to buy an insert making them even higher! 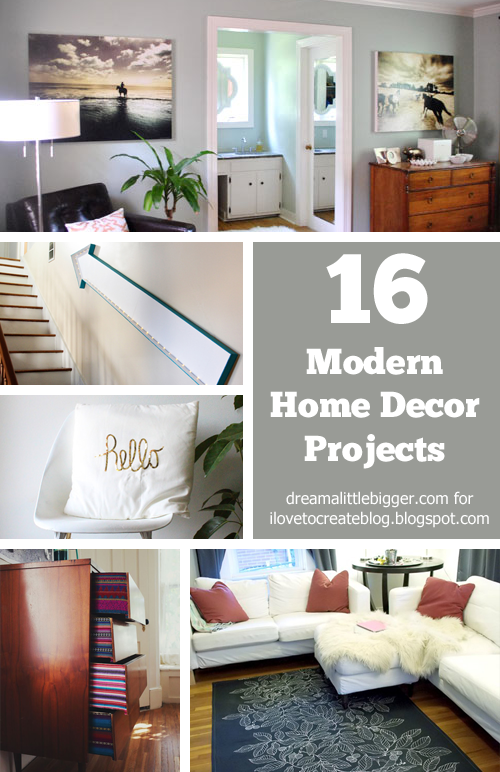 But why buy when you can DIY something up totally modern, totally gorgeous and for way less money? 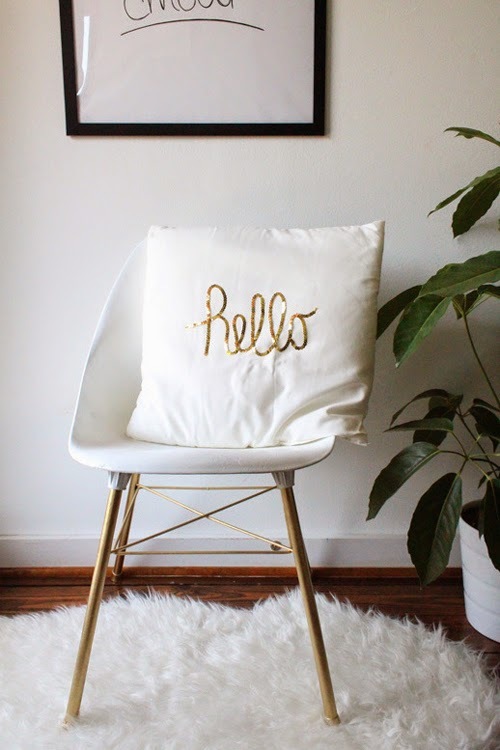 And good news, you can learn just how to make one of these fab Sequin Hello Cushions over at Sugar & Cloth. Tacky glue, meet sequins. Lamps are definitely one thing that can really, really go out of style. What was hot just a few years ago can be a fashion don't for your home today. And there are SO many of these atrocities of lighting at local thrift stores you can snag for a steal and makeover into something less ugh and more ooh. 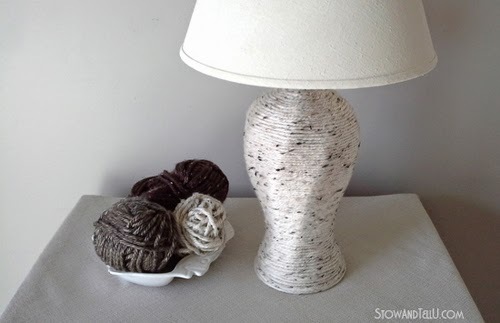 And even if you're not totally into the crafting thing, anyone can after their own Yarn Wrapped Lamp with some Clear Tacky Glue and great directions from Stow and Tell U. If I can't have an original piece of artwork for my space, I'll always DIY up my own creation. There is something so impersonal about store bought prints that has me backing quickly away. So whenever I find a DIY piece of art that is simple to accomplish and totally looks gallery wall worthy I have to check it out. 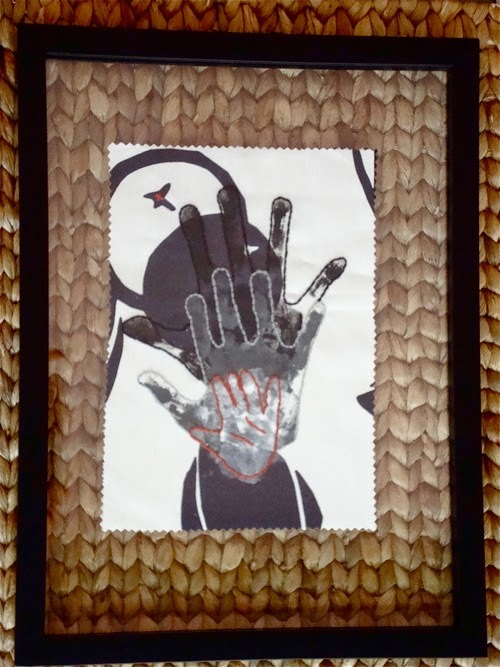 You better believe that I'm desperate to grab my Tulip Puffy Paint and make my own similar piece of art like this Hands Made Modern piece by Vickie Howell. Sometimes little touches that aren't often seen can have such a huge difference in the ambiance of your home. Though nine times out of ten your dresser drawers are going to be pushed in, when they're out they can be their own little decorative addition to your space. 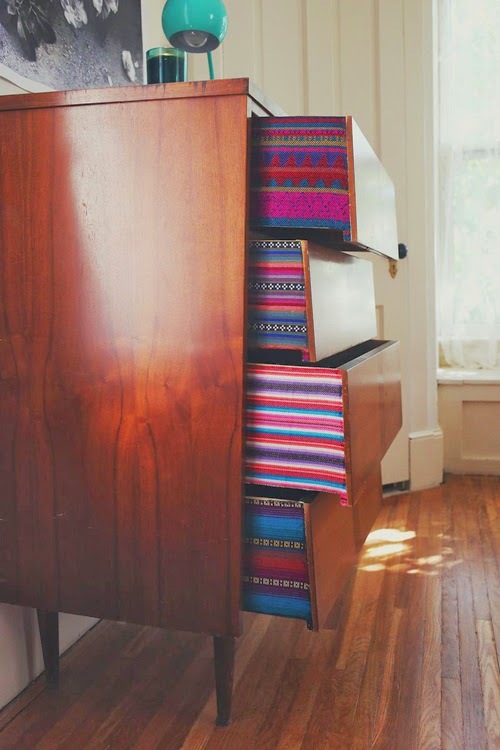 I especially love how with the many choices in fabric, this project is totally customization to any design scheme. Follow along and get inspired as A Beautiful Mess busts out the Original Tacky Glue and DIYs up some Fabric Lined Dresser Drawers. 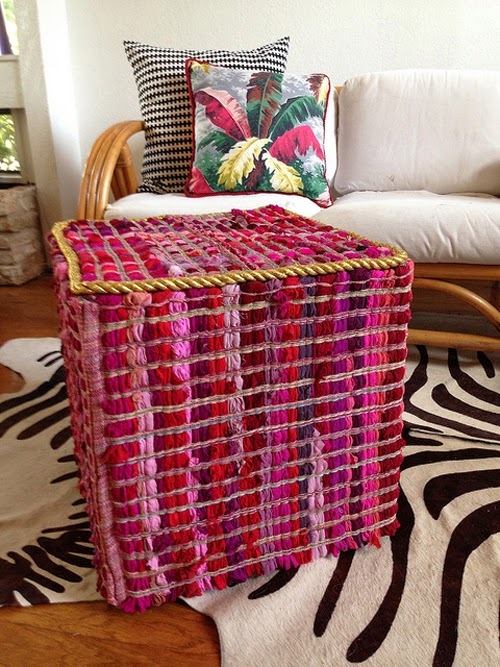 An Ikea hack is a proven way to dress up your nest on the cheap. 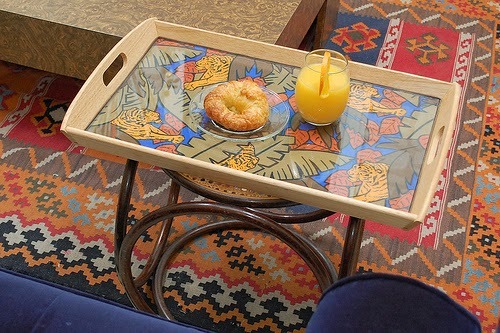 And this Tiger Tray is an amazing way to add your own custom touch and taste to your space. 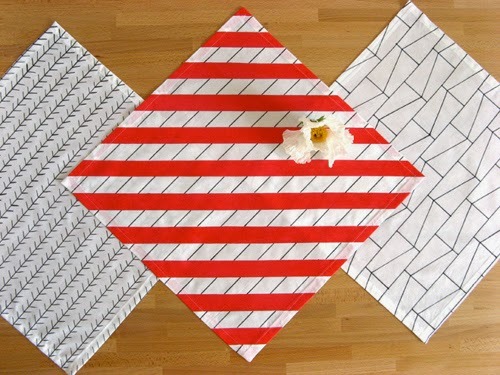 This is another DIY that rocks fabric meaning you have so many choices for implementing this into your own home. So grab your Tacky Sheets and get after it! I know that no everybody is down with sewing and I totally get it. Either you love it, or you hate it making no sew projects totally popular right now. Add in the fact that animals are flat out hot in design right now and I've got just the project for you... 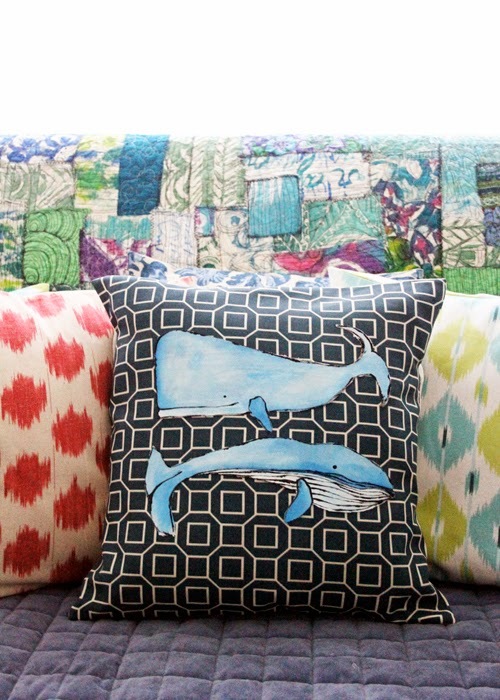 Grab your Fabric Fusion and Tulip Fabric Paints and prepare to ride along with Alisa Burke for the awesomeness that is this No Sew Whale Pillow. And last, but not least, my favorite project of this entire roundup. As someone who has been scouting out new area rugs for not one, but two rooms I find myself desperate to make something and save some super big bucks. But I still want my flooring to be stylish which is why I am grabbing my Tacky Spray to get all over this DIY dropcloth rug from Luxe Per Diem. If I hadn't told you would you have known this is DIY? I didn't think so! I am very much impress with your home decor collection in your blog. Everyone wants to decorate home & office with these kind of handmade crafts. You have really decorated your home beautifully. I appreciate your hard work and creativity. Wall decors happen to be incredible options to add to the décor of your home. Confer an overall make over to your home with the aid of online wall decors. I really love your house decoration. It's impressive.